Rimmel has to be one of my favourite high street brands, they are consistent in launching new lines on a regular basis and the products are widely available in a number of stores and supermarkets. Rimmel Ready for Radiance Collection has launched with the summer in full flow. 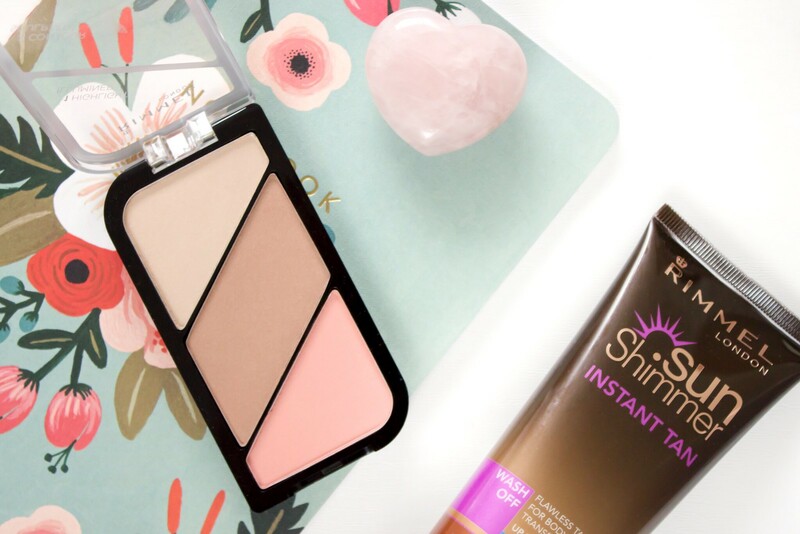 This features a variety of products all aimed to help to achieve that sun kissed glow. There have been quite a few new launches from Rimmel recently in which I have found myself really loving some products and not really getting along with others. 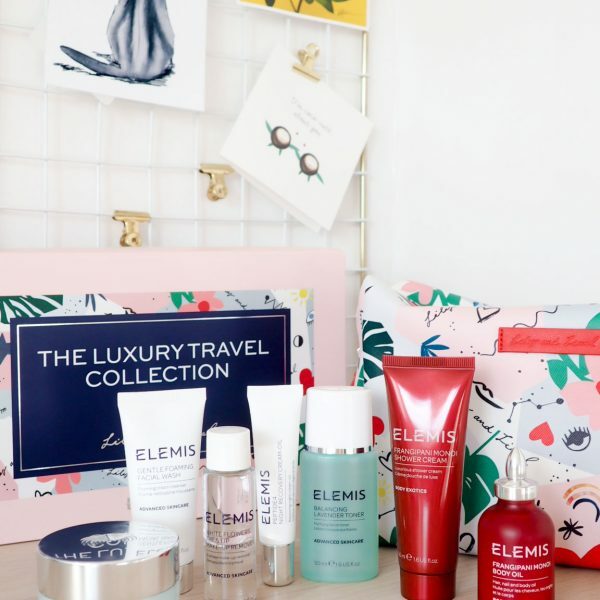 In recent weeks, I have being trying out a few of these new products from the brand, whereby I am back here today in order to share with you my thoughts on them. 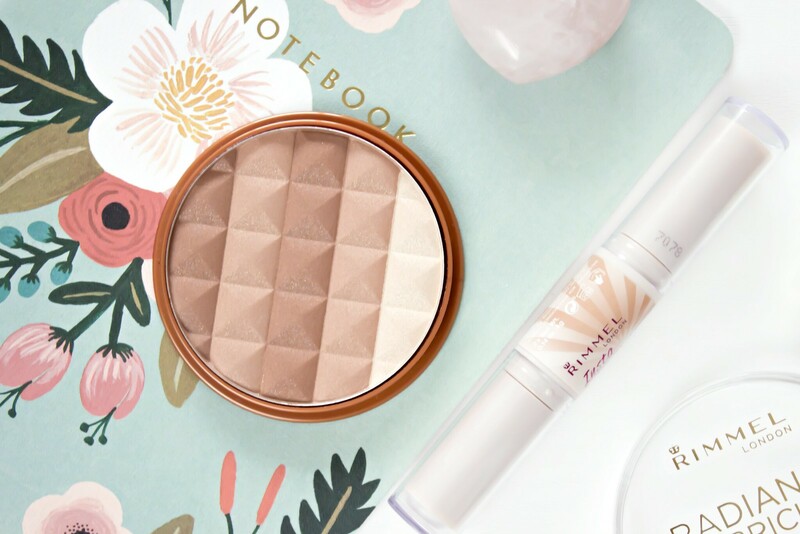 The Rimmel Radiance Shimmer Brick is perhaps my favourite product from this collection. It was only when I came to sit down to write this review that I realised that I do not have the lightest shade available. I was kindly provided with the shade ‘medium’ to review which normally would often be too dark for me as I am quite fair, that being said, I had not noticed this being too dark at all and that was even before I went on holiday and got myself a tan. This is a beautiful product and it really does add a lovely healthy bronzed glow to the skin with a soft shimmer to boot. 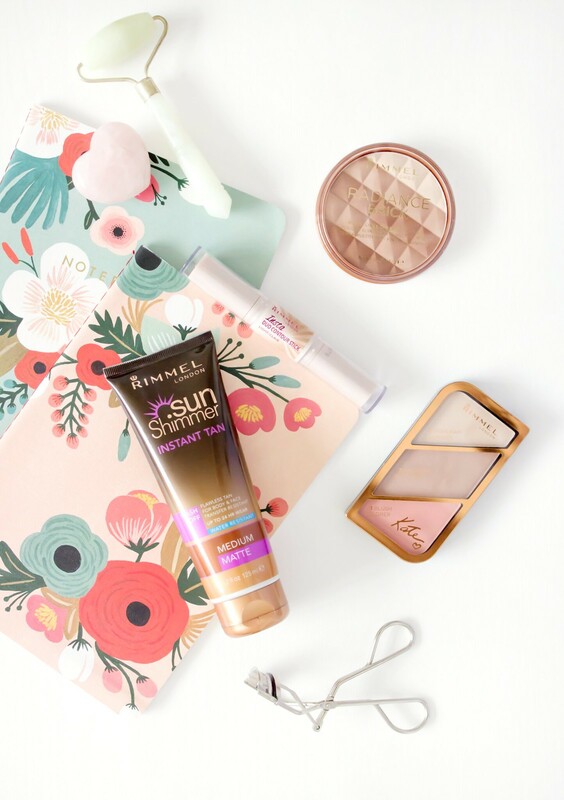 It isn’t too warm for my skin tone and does not appear muddy on the skin unlike so many bronzer’s I have tried in the past. I would definitely recommend checking this out in store for a closer look, as I was very pleasantly surprised. I have actually featured this product already as it was also part of the Insta Collection which I thought had some hits and misses overall. Generally speaking, I am on the fence with this, I don’t hate it but I certainly do not love it. The application is quite precise, which I guess is a good thing however you really do need to ensure that you blend this properly, otherwise you will be left with a vivid line showing where you initially applied the product. For more of my thoughts on this product in particular then head on over to my Insta Collection post linked above. Once again, I have found another little gem within this collection, one which is super compact and relatively travel friendly. This compact contains a highlight, bronzer and blush in which I have the shade ‘coral glow’. Overall I like this compact a lot, however my only issue is that the highlight is just too light and provides very little shimmer, if any at all once applied. It is pretty to use to enhance the corner of your eye/brown bone, however if you are looking for something with a bit more of an impact then you definitely need to look elsewhere. That being said, the bronzer is shade is really quite lovely and works well on my skin tone and the blush is beautiful. It is quite coral in tone as the name would suggest which looks gorgeous on the skin. I have always been quite the fan of blushes from Rimmel and this one does not disappoint. It would appear that Rimmel have a huge, in fact extremely wide range of tanning products. Out of the entire collection, this is the only product which I have not yet been able to try. The reason for this is that I haven’t purchased a tanning mit (I keep forgetting) therefore I am unable to truly comment on how this works for me. From what I have read online about this, the reviews are, for the most part pretty positive. You can find all of the above mentioned products in Boots priced individually for £7.